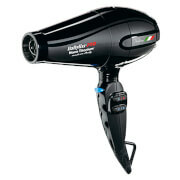 Babyliss Pro Bambino Nano Titanium Dryer is a compact yet powerful hairdryer. 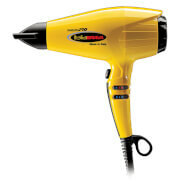 Ideal for travelling, this mighty dryer will give the perfect blow dry on the go. With a powerful 1200w DC motor and removable rear filter, Bambino Nano Titanium Dryer will ensure flawless styling every time. This lightweight dryer also includes a diffuser to enhance natural curls and a concentrator nozzle for more precise drying. 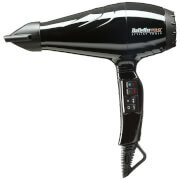 It also features 2 heat and speed settings and the dual voltage switch allows it to be plugged in anywhere in the world.